CUTTING CLASS – News, analysis & tools for the truants & dropouts. 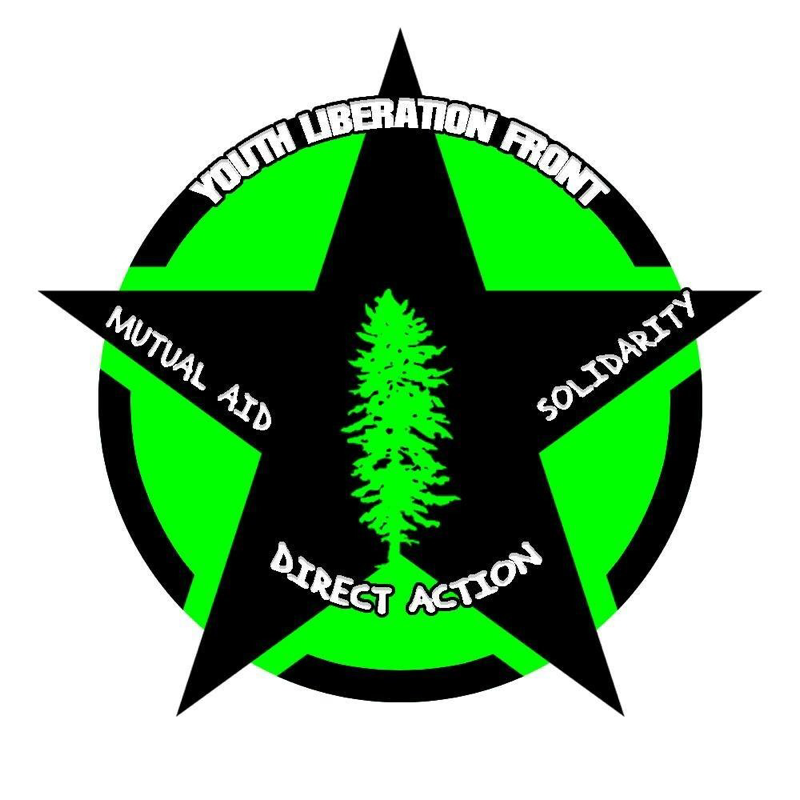 Solidarity with Occupy PSU and against campus police. 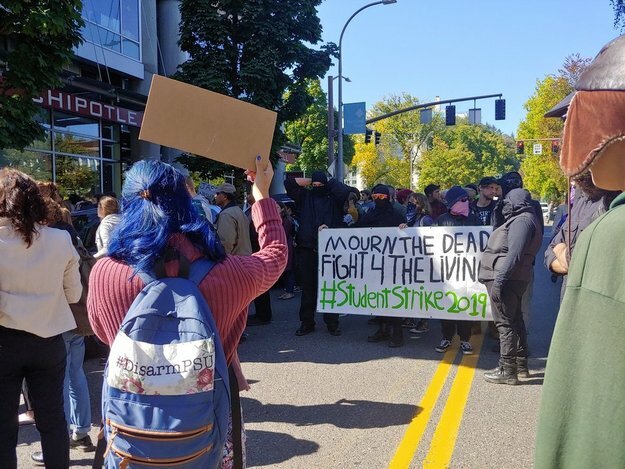 On September 24th, 2018, a march organized by the Portland State University Student Union took place in memory of Jason Washington, who was shot and killed on campus on June 29th of this year by PSU police officers while trying to break up a fight. The march re-ignited the call to #DisarmPSU, a movement started over 4 years ago, before Portland State Security was deputized and before any armed police force existed on campus. This movement started because students anticipated that the implementation of a militarized campus security force would result in a campus environment that was more dangerous for students and for the Portland community at large, Black and Brown folks in particular. 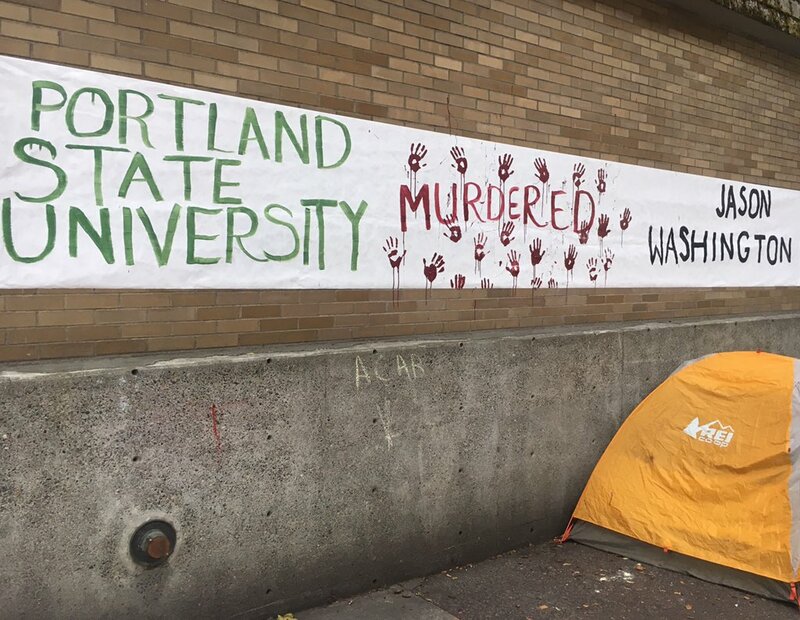 Sadly, Jason’s death at the hands of PSU officers exists as a confirmation of this anticipation, and follows a long line of similar instances on college campuses all over the so-called United States. Scout Schultz was killed by a Georgia Tech police officer on campus almost a year ago to the day while experiencing a mental health crisis. Samuel DuBose was killed by a University of Cincinnati officer during a routine traffic stop in 2015. In 2010, Everette Howard was killed after being shot with a taser that was deployed by yet another U of C officer while trying to break up a fight in a campus dormitory, a circumstance all too familiar in the case of Jason’s death. Countless other students have died at the hands of campus police officers, and today, students of color in particular are overwhelmingly more likely to be killed by campus police officers than white students. 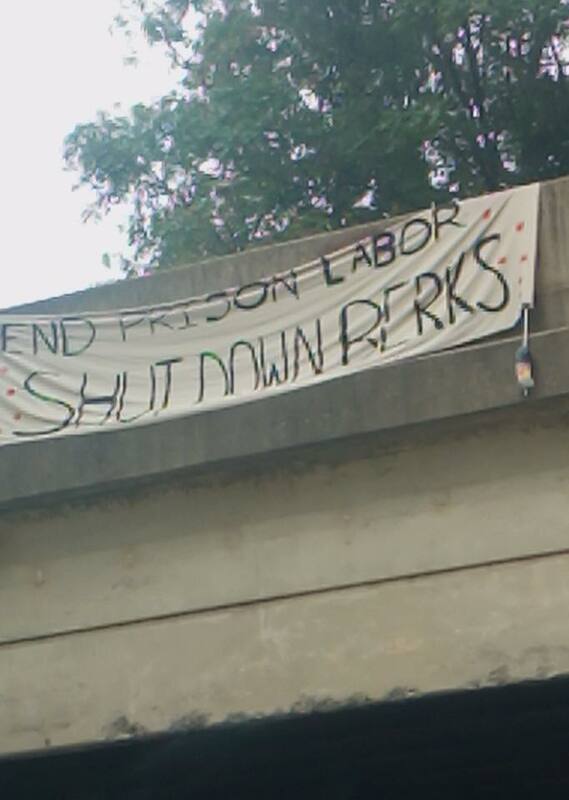 We dropped our banner on an overpass near Harrisburg,PA in solidarity with this past month’s prison strike. We want to honor their wishes to keep this issue in the public eye, letting our friends (and enemies) on both sides of the prison walls know that this is struggle will be ongoing, and that it will be at the cutting edge of the radical agenda until the last ashes of the last prison are blown away. We also wanted to make the same connection the striking prisoners did by acknowledging the struggle of the migrant families imprisoned in our own backyard by a proto-fascist regime. One of the three family detention centers in operation, Berks Family Detention Center is a monument to all we find disgusting, so we decided to put up a monument of our own in defiance. We were inspired by our comrades in Frederick, MD, and we hope we can inspire even more actions like this. Fire to the Prisons. Set the Captives Free. 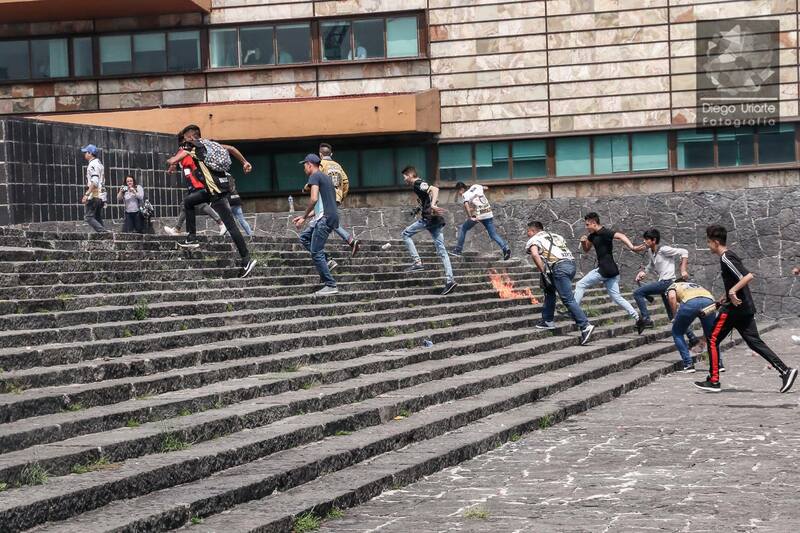 Voices in Movement Editor’s Note: This report speaks to an attack carried out yesterday by “porros” at the National Autonomous University of Mexico (UNAM) against participants in a student demonstration. “Porros” are people hired by university authorities or the state to violently smash up student and social mobilizations. 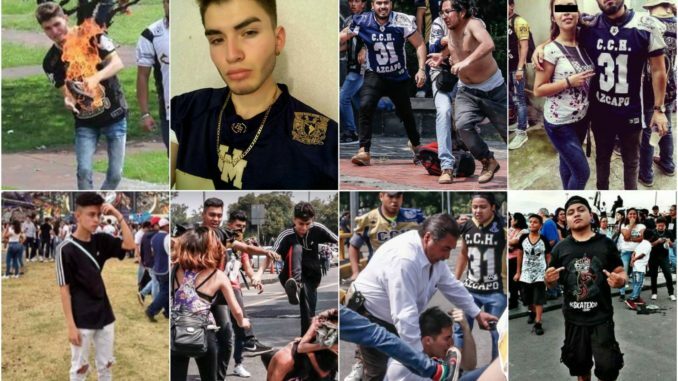 With the use of these “porro” plainclothes opposition groups, authorities are able to fulfill their repressive objectives while keeping their hands clean of the violent acts. This specific report comes from Ké Huelga Radio, and the original in Spanish can be found here. All photos taken by Diego Uriarti. 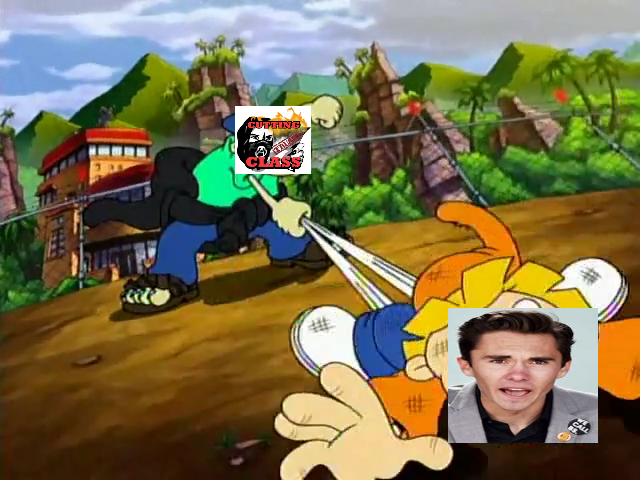 This is a call to recess (our very first)! Instead of calls to order or to action, with the logics of work & duty they entail in activist milieus, this is an invitation to a game. Hopefully this game will provide a much needed break from the super-serious business of revolutionary leaders and professional organizers. 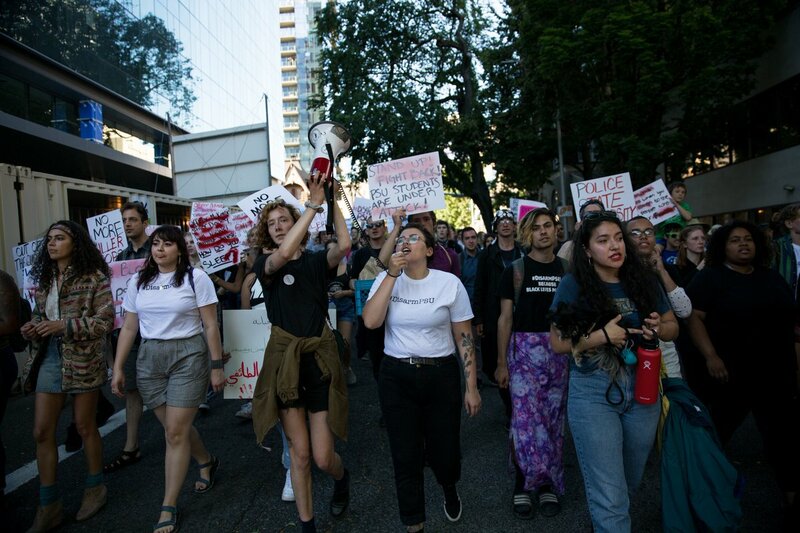 Portland State University students, alumni, faculty, and community members rallied and marched to #DisarmPSU on July 1st, 2018, three years after the first officers were sworn and armed. This rally came after the campus police murder of Jason Washington on June 29th. Family and friends of Jason Washington also joined our rally in solidarity and to mourn the loss of their loved one.